Okay, so today is a bit of a cheat day. While I set out to watch and review a horror movie or television show for each day of October, sometimes things stand out so much they deserve a mention in my very own spook-a-thon. For over a year now, I’ve been listening to the celebrated Lore podcast. 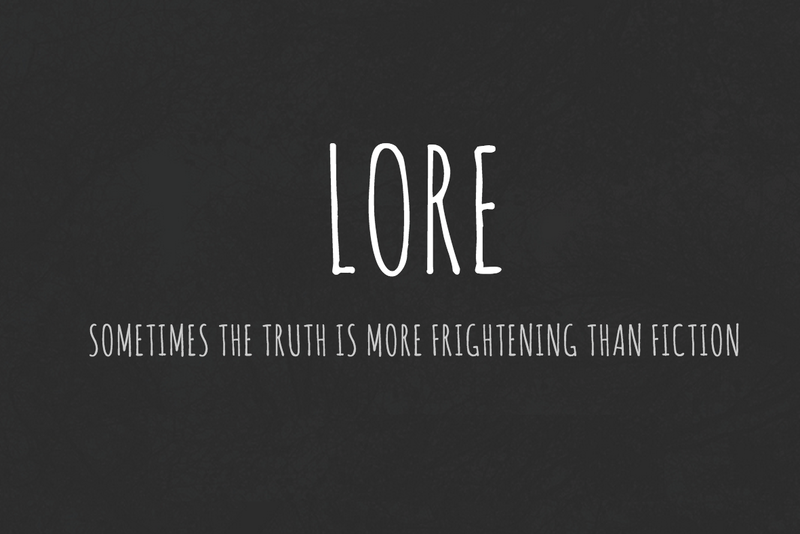 Written, produced and presented by horror writer Aaron Mahnke, the Lore podcast educates the lister through dictation, telling us the origin of many horror stories and tropes. Veering between folklore and genuine history, Lore quickly picked up a massive following of dedicated listeners, winning the ‘Best of 2015’ iTunes award and universal acclaim. Now on its 44th episode, Lore runs bi-weekly and, naturally, that leaves a lot to talk about. However, there’s one episode in particular that stands out to me for pure ball-gripping horror. Opening with an anecdote about an ancient grave being unearthed on a construction site, this episode centres on companionship. Namely, the companionship of children and their toys. Aaron Mahnke has a wonderful skill at painting a picture of what he’s describing, to which some credit must be given to the format itself. Gentle piano music bubbles along beneath the story, adding some much needed depth to Aaron’s words. The main story centres on the Otto family, a wealth art-loving couple living in Key West, Florida, during the early 1900s. When their third child, Robert Eugene Otto (known mostly as ‘Gene’), was gifted with a life-size doll made of straw and cloth, by Gene’s nanny, he was over the moon. Naming the doll ‘Robert’ after himself, the boy and the doll become inseparable. Even going so far as to dress alike, Robert never left Gene’s side. They ate together, slept together, even bathed together. Then things started to go a bit… weird. 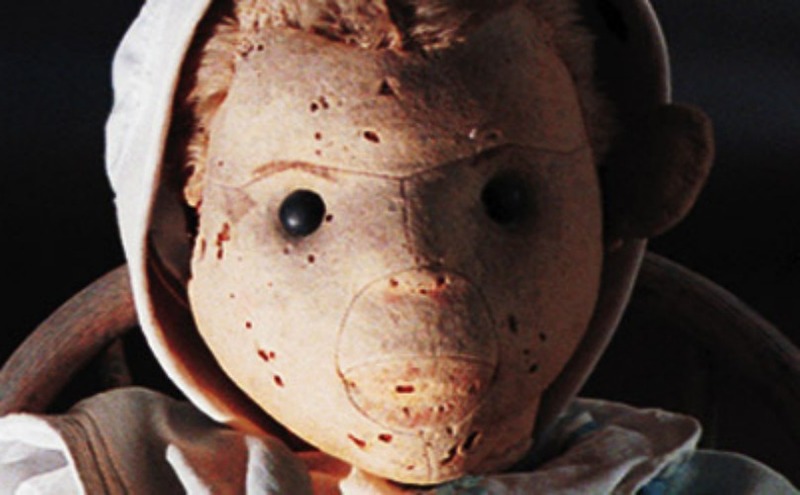 You’ve all seen or heard the classic ‘haunted doll’ story, but there is something about Robert that is deeply unsettling. It started with the talking. Gene’s parents would overhear conversations in his bedroom. Despite being alone, they would hear two distinct voices: One quiet and gentle, the other, raspy and insistent. On one such occasion, Gene’s mother approached the bedroom and, without warning, swung open the door. Inside, she discovered Gene cowering in the corner of the room, arms wrapped around his knees while Robert looked on from its seat, glaring. As unusual activity continued, furniture would often be overturned and destroyed. 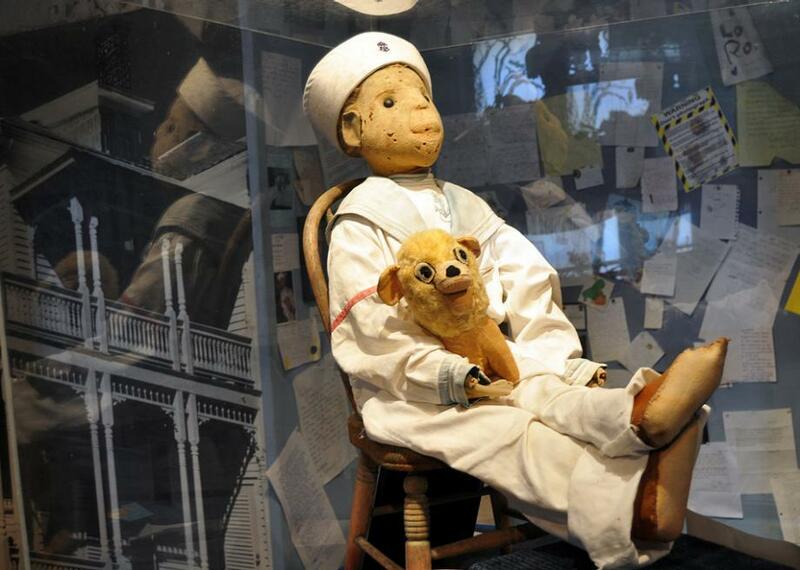 Toys would be left mutilated, giggling voices echoed through the home at night and the staff would often report unoccupied guest rooms being overturned and doors locking behind them. Gene always blamed Robert for the mischief. The podcast goes on to detail the darker sides of the story, of Robert appearing at windows, peering out at the street, of the doll moving around the house at will. When a member of the extended family deemed that the doll was cursed and sealed him in a box, she was found dead the following day. The frightening thing, though, is that this is only the beginning. I can’t hope to do this story the same justice as Aaron gives it, so I won’t even try. Suffice to say, the story of Robert is one that has been published in many different forms and can be found all over the internet. It is, quite honestly, one of the creepiest stories told on Lore. This is almost certainly thanks to Aaron and his delivery (although Robert himself should probably take much of the credit) and stands out as simply great story. It I had to complain about anything, Lore seems to be more than a simple podcast, it is a business venture. Several episodes are tarnished by overly long sponsorship segments during the final third of the show. I’m listening to a horror programme, not investing in stamps. If you can ignore that and get over Aaron’s somewhat unique tone of voice, however, you are in for a solid treat. I have to admit that I have learnt a lot from the show’s run and will recommend it to anybody. There’s really nothing more to add to this review, except to say that the show is available to download almost anywhere. You can check out the Lore website here and can support the show via Patreon, which you can find here. Furthermore, if you would like to read more about Robert The Doll, you can click here for the full, and official, story (you can even buy your very own doll… for some reason). I will also definitely not mention the god awful attempt at making this into a cheap horror movie tie-in. Google at your own loss.